There’s one thing that I have always found kind of ironic, and that’s the idea of buying a personal finance program to budget your money. Though paid apps and software may have a few extra bells and whistles that may make things more convenient for you, the truth is that there are plenty of choices when looking for a personal finance program that cost you NO MONEY to download and use. Today I have 5 different choices that will cater to almost any preference. 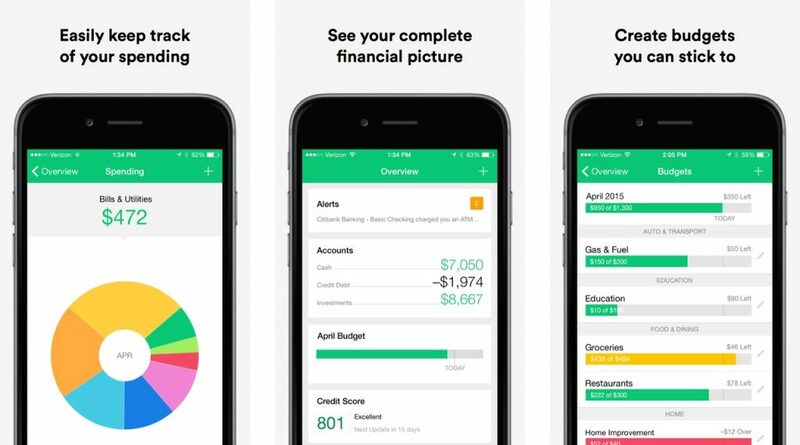 Acquired by the same company that brought us QuickBooks and TurboTax, Mint is a online and mobile app that offers people a way to see where they are spending their money and budget accordingly. When first setting up your account, you can link your bank accounts and credit cards so that your transactions can sync with the app. From there, you will be able to use the number of categories that Mint has so you can organize your spending. One thing you will have to watch out for though is when you make purchases at a place that may be catagorized under one thing, but the purchase is better to be listed under another. Example: You buy milk and eggs at your local gas station. The transaction will reflect under your “Gas & Fuel” budget instead of your groceries budget, resulting in you having to manually change that specific transaction so that it reflects in the correct category. Though Mint makes it very easy to change a transaction’s category, that is one thing that you will have to pay attention to. Much like Mint, Clarity Money is another budget planning app that shows a clean, modern view of your money. Clarity too links to your bank accounts and credit cards, but one thing Clarity also incorporates is the ability to link your Acorns account as well. Another thing that makes Clarity Money different is the feature to see the various retailers you spend your money at. For example: If you buy coffee everyday from Starbucks, you’ll be able to see exactly how much you have spent there in an easy-to-view layout. 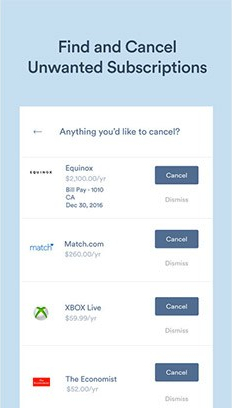 You can even cancel unwanted subscriptions you may have directly from the Clarity Money app (Note: some subscriptions featured may need you to call a number provided to cancel that subscription). All these features make Clarity Money a great tool for those who like seeing many of their accounts within one app. For those of you that prefer to stick to a more traditional personal finance software, Money Plus Sunset Deluxe is the replacement to previous Microsoft Money programs. The nice thing is that Microsoft offers you this version of Money for completely FREE. 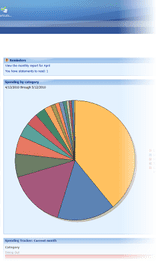 With Money Plus Sunset Deluxe, you can keep track of your income and expenses as well as take advantage of MSN Money News articles that are integrated into this program. Though there’s more manual input needed to set up your budget categories, the customization of your categories are close to limitless. I personally use Money Plus Sunset Deluxe for my budgeting. If you are like me and want a tried but true method in organizing your money, give Money Plus Sunset Deluxe a try. For those of you that don’t have a windows computer or just want to try something different, Buddi is an Open Source Software that runs on Java 1.6 and higher. It works on Windows, Mac OS X, Linux, and many other operating systems. 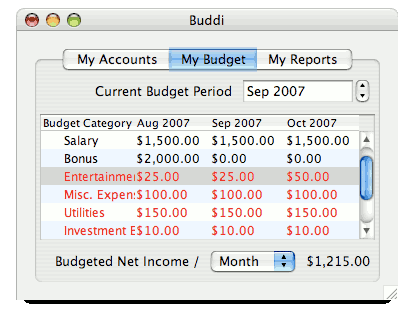 Much like Microsoft Money, Buddi is a simple finance program that gets the job done if mobile apps and fancy graphics aren’t your style. And for those of you that have a little extra knowledge in computers, you can even customize it to meet all of your financial needs. Finally, if an old fashion spreadsheet is more your style, everyone can take advantage of Google’s FREE answer for Microsoft Excel. Though it will involve you setting up your own cells or finding a template online, many find the easiest way to balance their books and budget their money is to enter it all in and calculate it on a spread sheet. 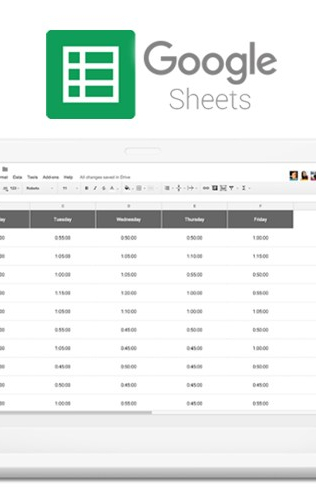 The nice thing about Google Sheets is the fact that you can download the app in Google Play Store and Apple’s App Store to see and edit your budget on the go. This makes a nice alternative to mobile budget planning without downloading a bolder app such as Mint or Clarity Money. The best part is that you can even use Google Sheets for things other than budgeting money as well! Want to keep track of your book collection? Want to make a graph for a presentation at work or school? All this and more can be done on Google Sheets. These were just 5 of the many FREE software/Apps you can use to make a budget and manage your money. If this article gave you new ideas on how to go about finding YOUR financial freedom, make sure to bookmark my site and find me on social media through the links below to keep up with all of the upcoming articles I have planned for the future. Also, feel free to join my new social club on Facebook if you would like to connect with others who are also looking to better their financial situations. Thank you for your support, and I’ll see you next time! Previous PostHow Can You Become GREAT at Selling Online?